Kujutle, et oled leidnud endale ideaalse prilliraami- need ei libise ninalt maha ega pigista kõrva tagant. Ainuke viga on, et need on päikeseprillid aga Sul on just optilisi prilliraame vaja. Kuid, kas päikeseprilliraamidesse saab panna ka optilisi raame või lausa mõlemad? There are many options when it comes to having optical glasses that also protect you from the UV light. Todays technology has gotten so far that an optical lenses can transform into sunglasses, meaning when the sunlight hits your glasses they become shaded and also protect you from the UV light, at the same time helping you to see perfectly. But what if you would rather have optical lenses in the amazing sunglass frame you found? 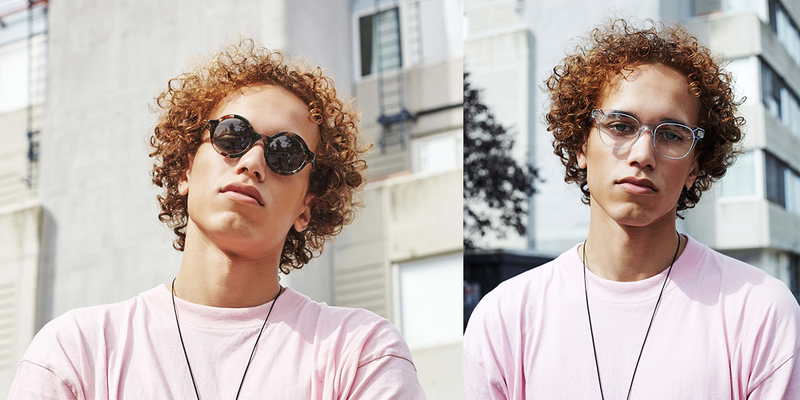 Here are some forget-me-nots to keep in mind when selecting prescription sunglasses. Being able to put optical lenses into sunglass frames, depends on the quality of sunglasses and your prescription. Shades that are made from high quality material are more likely to be able to hold and fit prescription lenses. Odds are that an optometrist will not agree to put optical lenses into 19€ sunglasses that are bought from a supermarket. Fitting optical lenses requires flexible frame material that tolerates heating, which is required when placing optical lenses into the frame. This way you can be assured the highest quality possible. Cheap plastic will just crack. Finding a frame for your optical lenses depends a lot on your prescription. It is possible to fit prescription lenses into most good quality frames when your sight stays in the range -3 to +3. Your lens just cannot be too thick. You also have to be aware of the frame type. There are multiple design options when choosing a frame – is it plastic, metal or does it have a frame at all? These are important factors when being able to fit the lenses in desired frames. Usually it is easier to fit prescription lenses into thick acetate frames due to its elasticity! So, is it possible to make eyeglasses from the perfect pair of shades you found? At VIUU we offer high-end frames and guidance from our optometrist. Come to the store and we will talk you through the process of finding the right frame for you and discussing the options when it comes to inserting optical lenses into sunglasses! Register to our eye-exam and let’s find you that perfect pair of optical sunnies! When do you wish to come?